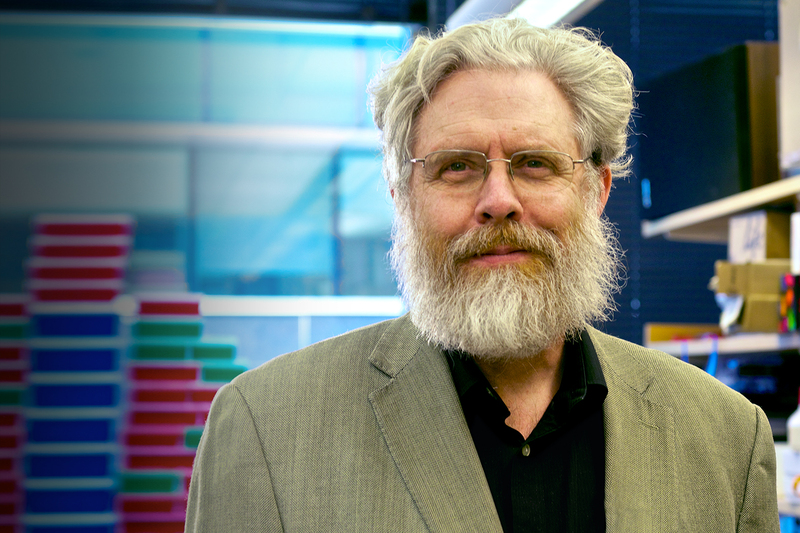 BOSTON, MA — The Wyss Institute for Biologically Inspired Engineering at Harvard University announced today that one of its core faculty members, George Church, has been elected a member of the National Academy of Sciences (NAS) in recognition of his distinguished and continuing achievements in original research. Membership in the academy is one of the highest honors accorded a scientist or engineer. At the Wyss Institute, he conducts research into new technologies for genomic and proteomic measurement, and synthesis and modeling of biomedical and ecological systems, with a focus on personal genomics and biofuels. He also leads the Wyss Biomaterials Evolution Platform, which is dedicated to the development of massively parallel capabilities for directed evolution of molecules, polymers and whole genomes for regenerative medicine and bioenergy applications. "This is tremendous recognition of the truly visionary work being done by George in so many different areas of science," said Wyss Institute Founding Director, Donald E. Ingber, M.D., Ph.D. "His presence here inspires all of us at the Wyss Institute to challenge ourselves to engage in the kind of research and technology development that can lead to truly transformative breakthroughs. We are honored to count him among our core faculty members." The NAS is an honorific society of distinguished scholars engaged in scientific and engineering research. It was established by an Act of Congress, signed by President Abraham Lincoln, with the mandate to "investigate, examine, experiment, and report upon any subject of science or art" whenever called upon to do so by any department of the government. Church was among 72 new members announced by the Academy on May 3. With their inclusion, the NAS now totals 2,113 active members, with 418 foreign associates. (Foreign associates are nonvoting members with citizenship outside the United States.) More than 200 NAS members have won Nobel Prizes over the years. Among the NAS’s most renowned members are Albert Einstein, Thomas Edison, Orville Wright, and Alexander Graham Bell. Church’s accomplishments have been recognized with numerous awards, including, most recently, the 2011 Bower Award and Prize for Achievement in Science from the Franklin Institute in Philadelphia in honor of his work in genomic science.